Why Should You Buy An Open Car Trailer? A majority of professional hauliers who own open car trailers admit that they find it quite easy to unload and load cars from & to their equipment. Besides that, placing wrecked cars on open haulers and taking them down later is also hassle free, thus making them suitable for transporting cars damaged in road accidents as well as emergency situations. Compared to enclosed trailers, open options are significantly low priced and also more cost-effective. The reason behind this is the fact that the former’s manufacture involves usage of more materials than that of the latter, which hikes up the overall costs. In addition to that, the maintenance expenses of open car hauling trailers are relatively low too. 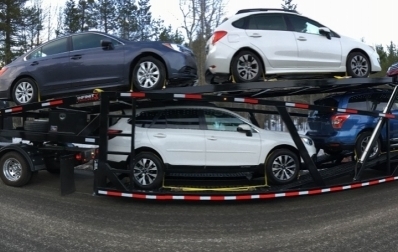 For someone who has an open car hauling trailer, it is quite easy to examine its contents simply by looking at them, as everything loaded on it is in clear view. This thing can prove to be very useful during long hails when the hauliers has to take breaks in the middle of the journey to inspect the condition of the loaded cars. However, same is not possible with an enclosed trailer because its contents remain guarded by opaque barricades from five sides. Towing an open car trailer is easy due to its lightweight design and structure. Due to having open features, this kind of trailer also offers less resistance against winds while its being hauled. As such, it makes any interstate journey smooth and less stressful. 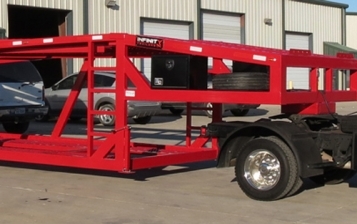 So, are you planning to buy an open car trailer now after getting to know about its benefits? Then contact us at Infinity Trailers. 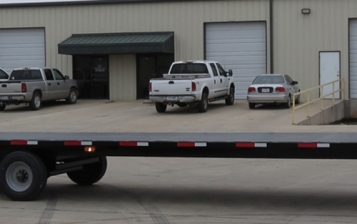 We have a wide range of open car hauling trailers to choose from. We can provide financing options to buyers with a tight budget. Liked this post? Then don’t forget to leave a comment below to offer your valuable feedback. Keep watching our blog space for more such posts.